One of the most diverse yet consistent albums, its such a musical masterpiece. Its really hard to put into words how amazing this album is. Even if Fugazi never come back, im just glad you have so many amazing albums, they will live on forever. I have the grey vinyl version of this album and love it lots. Was sad to see that the End Hits remaster didn't feature the beautiful marbled grey vinyl of the original release...only marginally, though. My favorite Fugazi record. 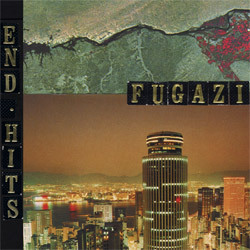 This is Fugazi's fifth full-length record, released in 1998. The 12" LP format was re-cut and re-issued in September 2009 and comes with a free MP3 download. The CD was remastered at Silver Sonya in 2008.